WordPress is a free content management system (CMS) with open source software. WordPress is installed and used on a web server, which is part of the Internet hosting service or a network host. The first case may be, for example, such as WordPress.com, and the second case may be a computer running the WordPress.org software package. The local computer can be used for single-user testing and training. Features include plug-in and a template and architecture system. WordPress was used by more than 25% of the 11 million websites in February 2017. It is Reported that WordPress is the most popular content management system or blogs using the Internet, supporting More than 60 million websites. If you are interested in word press development, the following points will be of great value to your career as expand your ideas more on what WordPress can do for you. Even if you are a freelancer, you will really like to know what WordPress can do for you. Check out its enticing advantages below. More websites operate on WordPress more than other content management system. Wordpress is a piece of software that allows you to write, edit and publish content on the Internet). In fact, WordPress offers 4.5% of the Internet in general. Somewhere between 50 and 60% of sites use the CMS, built in WordPress. WordPress blogs post 17 blog posts daily. So many popular websites that you are familiar with uses WordPress. CNN write-ups are developed on Reuters as well as wordpress, Forbes, The Next Web, Mashable, wall street’s journals, and The New Yorker are also built in WordPress. Other popular sites that utilizes WordPress include: The Rolling Stones, Vogue, Facebook (for editing), MTV News, Harvard Business Review, NASA and People magazine among many others. If WordPress development is enough to make these powerful sites, it is powerful enough for almost any site you need to build! WordPress started its work as a platform for blogging, but somewhere along the way the WordPress developers realized that it can do much more. Now WordPress is the cause of everything from e-commerce websites to community’s courses taken online, such as Skillcrush Drawings and others. If you want to develop a basic website for a local company or a large online store for selling thousands of products, you can do with WordPress. And, of course, it's very good for blogs! WordPress allows you to expand what you can do by using plugins. There are free and paid wordpress plugins that can do just about anything you might need, without having to write code from the scratch. Right now in the official WordPress directory is available for over 45,000 free plug-ins. This does not include all the premium add-ons that can be added to your sites even more functionality. In addition, if you know PHP (WordPress language built), you can further customize any add-on that you want to do exactly what you need. Or create your own plug-in from scratch. WordPress developers are not the only technology professionals who need WordPress skills. Entrepreneurs can benefit from WP's knowledge as it is a great tool for creating online businesses (including setting up online stores, landing pages, and so on. Learn how to develop and set up WordPress, customize the theme and install plugins. That can save you a lot of money when you just started. Sellers can also use WordPress skills. It can be used to create landing pages and publish blog entries. 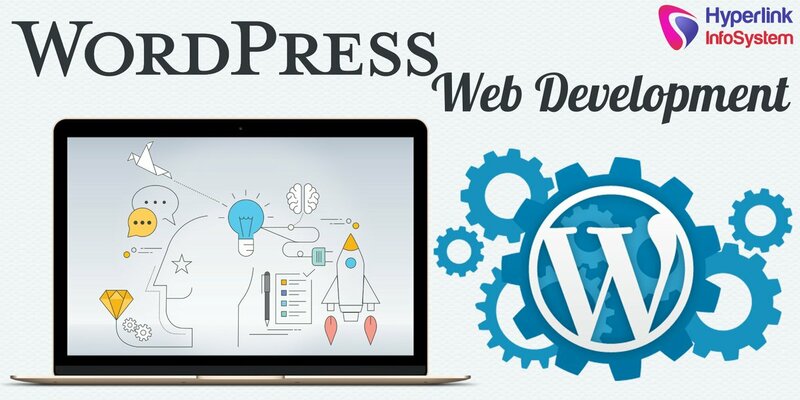 Knowing how WordPress code gives you the advantage that you do not have to wait until developers to make a small change, or some other person will launch a new page or website. There are thousands of plugins that can extend the functionality of WordPress, but many developers do not realize that some of these wordpress plugins are perfect for functionality that businesses need. Things like software for managing customer relationships, tracking issues, and even intranet applications are possible with WordPress. Self-tap these apps without having to pay for services that can be saved every year, especially if you can handle all of these as your own plug-ins. It is not difficult to set up membership website with WordPress plugins. There are tons of plug-ins for only members, available for free, and some may be paid for. You can use these plug-ins to create a membership site with top quality content, local online communities and also use them to create a paid subscription or free sites. WordPress is completely free and open source. You will never have to pay a dollar for WordPress, and you can make any changes to the site code. You can use WordPress for any type of site you want, and any amount of web sites if you wish and not have to purchase extra licenses. There are also tons of free plug-ins and themes that you can use and customize to your heart contend. However, there are a lot of top quality themes and plugins, and those for which you have to pay. Potentially, you can create your own top quality themes and plugins to earn money. If you want to work as an employee, you can find a job with WordPress, creative agencies or mobile app development companies that run their websites in WordPress. WordPress possession can help you get a job as a programmer or a designer or marketer. In addition to working in the agency or corporate workplace, you can work as a WordPress expert. If you want to offer basic services such as creating site and theme settings, or using all fully customized websites with all sorts of software, there are so many possibilities. WordPress owners are also very useful for, marketing consultants, bloggers and SEO consultants. You know all those top quality themes and plugins we discussed earlier? You can make lots of money by creating and selling them. Look at companies like WooThemes. They started creating themes and premium plugins in 2008. In 2016, they were acquired by Automattic, the parent company of WordPress, for $ 30 million dollars in cash and stock. Even some premium thematic designers earned tens of thousands of dollars a month. Take a look at the popularity of Chris's second author ThemeForest, which made him around 165 thousand sales on the site. Again in 2011, he was the first author of the song, the subject that sold for US $ 1 million (and it's still 5 years later). The fact that you can make good money by selling pre-created themes and plugins without the need to work directly with clients and operate without the need of an employer that is providing you with all the flexibility you may need in your career. Three months will give you enough skills to start working independently. You can start with things such as tweaking and creating new WordPress sites in less time than it is and then learning to do more over time. WordPress websites are easy to handle, both in terms of service and in terms of customer web content management. From there so long WordPress (which was first released in 2003), there is a huge online community and extensive documentation. It seems that any question or problem you are experiencing is likely to have been tested (and hopefully resolved) to another person. In addition to all the free community support, there is also top quality support provided by different developers, so if you have problems you cannot really solve on your own, you can always hire someone who can help.